The Madagascan sunset moth is a moth that flies during the day time. It is part of the Uraniidae family. It is considered to be one of the most beautiful and impressive moths and has been featured on many coffee table books around the world. It is so famous and beautiful that it is sought after by collectors. This is because the moth is colourful but part of its wings actually do not have any pigmentation – the colours are actually an optical interference. In 1773, it was first described as a butterfly by Dru Drury. 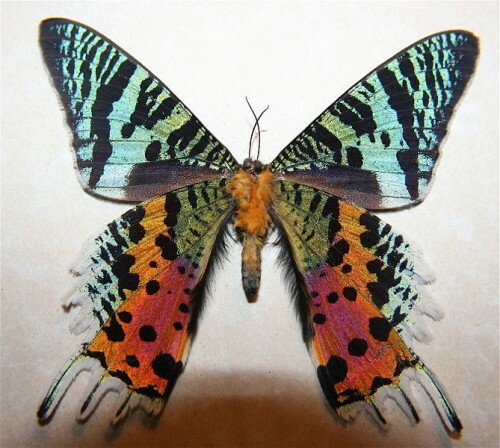 As a result, the Madagascan sunset moth was originally placed in the genus, Papilo. However, in 1823, Jacob Hubner placed it within the moth genus. It was originally thought that this moth was from either Bengal or China, but it was later discovered to be endemic to Madagascar. 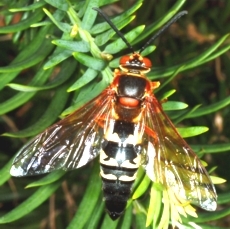 In fact, it is found throughout the year on most areas of the island. 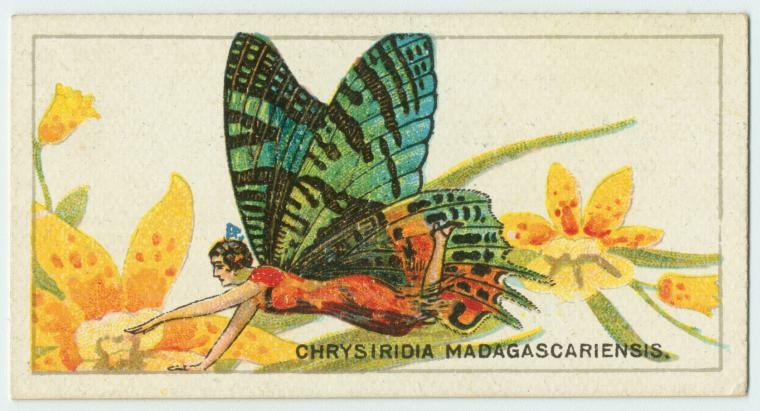 The peak population of the Madagascan sunset moth would be during March to April. The smallest numbers would be during October to December. 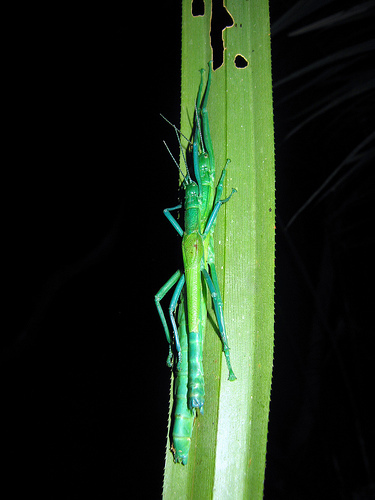 Female Madagascan sunset moths will lay approximately 80 eggs underneath the leaves of Omphaelea spp. The caterpillars are whitish-yellow and have black spots and red feet. Silk is actually spun from the mouths of these caterpillars, which assists them to hold onto the smooth leaves of the plant, and climb back onto the plant if they fall down. After completing 4 instars they will then spin an open network cocoon. The actual pupal stage lasts between 17 – 23 days. As mentioned above, this moth is spectacular. It is considered one of the most beautiful and impressive moths that even rivals butterflies in terms of form and colouring. It is collected in the wild and raised for commercial purposes in the international butterfly trade. Its wings were actually used to make jewellery during the Victorian Era. In more popular culture, the Madagascan sunset moth has appeared on a postage stamp in Lesotho for their Butterflies of Africa collection.